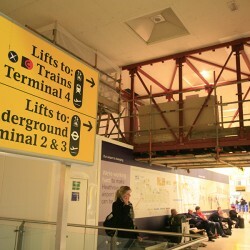 The TONE Scaffolding Air Division is highly qualified to work in airport environments. 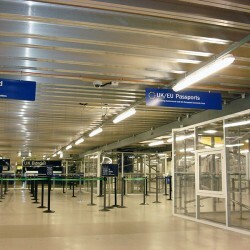 All staff are airside pass holders and many hold airside-driving licenses. The Air Division operatives receive on-going training to provide a specialist workforce that have been trained in baggage hall labour, confined space and working from MEWPs Mobile Elevating Work Platforms . 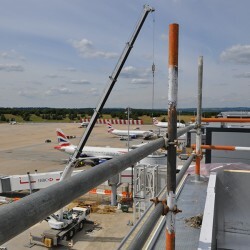 TONE Scaffolding’s Air Division has created excellent working relationships with the site teams at the London Airports – Gatwick, Heathrow and Stanstead, ensuring repeat business. TONE Air Division’s strong airside experience and expertise ensures that airside projects run safely, smoothly and efficiently. Like all divisions at TONE Scaffolding, the Air Division is available 24 hours for emergency call outs. 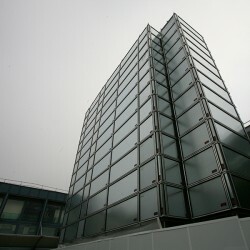 TONE Scaffolding Air Division is available 24 Hours for emergency call outs at any location. 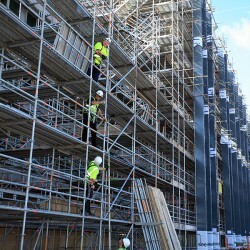 TONE Scaffolding Services operates a 24 hour emergency answering service; for an immediate response, call the above number and talk to a member of staff at any time of the day or night.